Every once in awhile each of us can admit to needing some time off away from the hustle and bustle of our busy and chaotic lives where we can just quickly pick and go wherever we want. And with summer just around the corner, going on spontaneous road trips and planning weekend getaways will soon become the norm. We at My Top Face care a lot about our readers and love introducing you to new and interesting products. This time we have tried out four products that are great to use when you’re on the go. Baiser Beauty is an all-natural organic beauty brand that focuses on spiritual skincare. 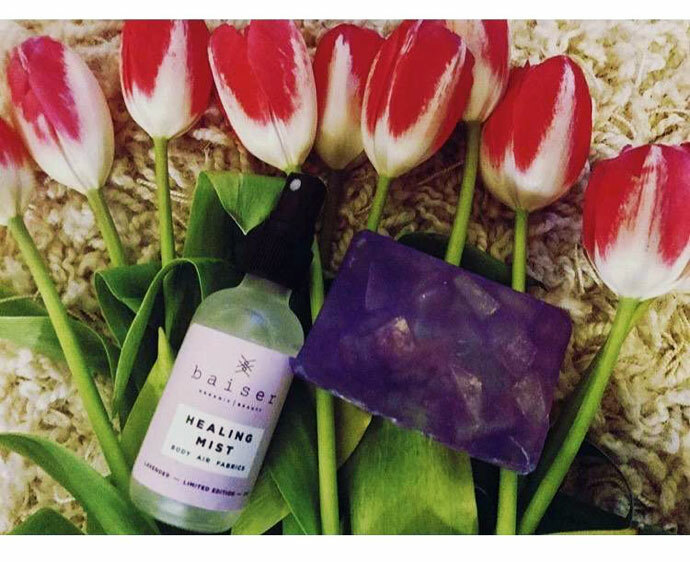 We will be reviewing two products from their Limited Edition Vibrations collection, their Healing Soap and Healing Mist, both lavender scented. If you’re an avid reader of My Top Face then you’ll know how much we love our all-natural and lavender scented beauty products. 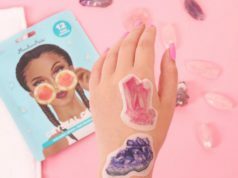 We were obviously excited to try these products out but not for the reasons you think. An important and cool thing to know about the mist and soap is that they include an amethyst inside. Amethyst is known for its physical and emotional healing properties. It will cleanse and align your chakra while protecting you from bad vibes to renew and revitalize your body, your mind, and your spirit. This soap is very mild and has a gentle lather. It left our skin feeling neither dry or moisturized, but balanced. Although we all decided to use lotion on a skin after using the soap, we didn’t feel the need to use anything creamy or thick. We at My Top Face love the anything lavender scented, so this soap was easy to enjoy. The lavender scent was definitely there but not overbearing. If you decided to use this for your body then we recommend to use it at night. The lavender scent lingered on the skin after use, so we definitely noticed it’s calming effects. 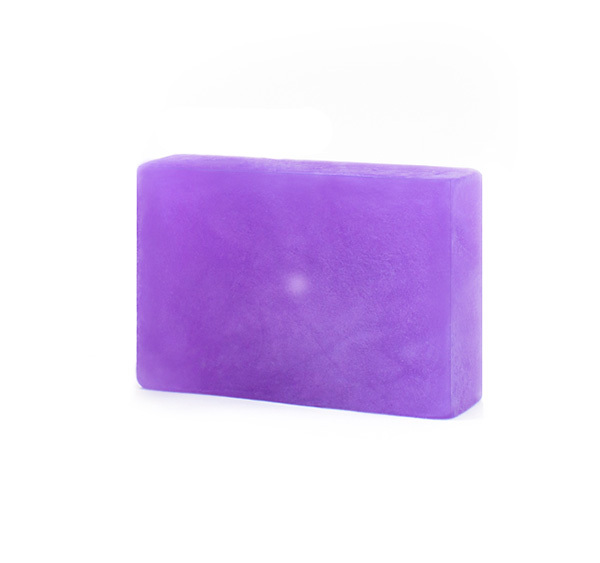 We love the fact that there is actual amethyst quartz embedded into the soap. It makes us eager to use it so that we can release the crystal, sort of like when you find a prize at the bottom of the cereal as a kid. The soap is great for traveling because it’s small and rectangular, so it will pack nicely. 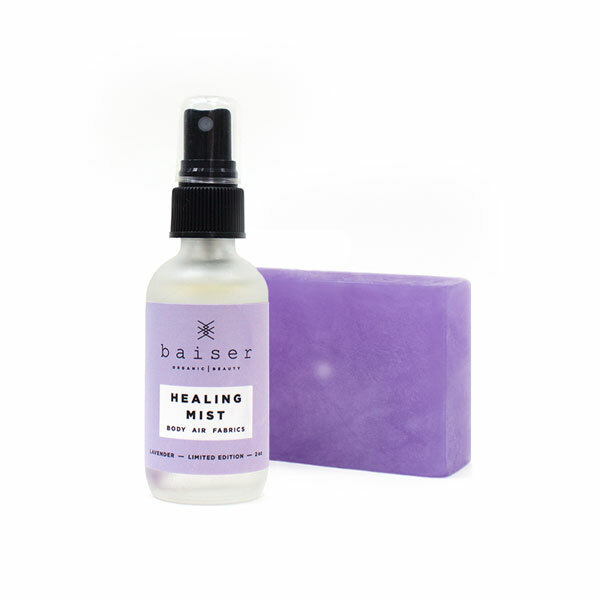 While only containing three ingredients organic lavender hydrosol water, organic lavender essential oil, and amethyst quartz, this lavender scented mist is light, simple and fresh. This is a great mist to pack for a spontaneous weekend getaway because it can be used as an air freshener, on the body, and on fabrics. 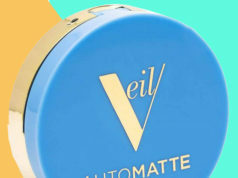 It’s small enough to keep in your purse and it comes in a chic frosted glass bottle. The nozzle powerfully delivers the perfect amount of liquid evenly over the skin at a wide angle, so you only need a couple of sprays and you’ll be good to go. The Lavender scent is light and fresh, while also buildable. We found that the scent lingered on our skin longer than it did in the air or on our clothes. We loved how it left the skin feeling hydrated, toned, and refreshed. This will be great to use in the summertime if you need to cool down your heated skin. These body wipes are perfect for, well you guessed it, everyone! We at My Top Face would never lie to you when we say that we came up with a ton of reasons to use these wipes. 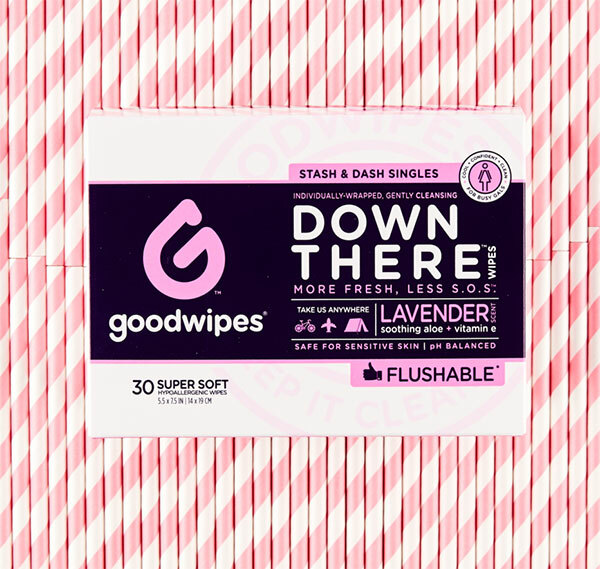 Whether you’re a passionate traveler, looking for an easy way to stay fresh and clean while camping, or a festival goer who doesn’t want to wait in long lines to use the communal showers, you will find a reason to want to use these wipes. These wipes are soft, gentle, and glide over the skin easily. They are bigger than most body wipes but come in small individual packets that are very convenient and easy to store. They do have a light scent to them, but if you have sensitive skin don’t worry because they are hypoallergenic and alcohol and paraben-free. A major reason we loved these wipes were because they left you feeling clean and confident without leaving a sticky or oily residue on your skin. Nature enthusiast will love the fact that these wipes are 100% biodegradable. To see these wipes in action take a look at how we used them in this bright and bold summer makeup tutorial. My Top Face Hack: Keep a box of these wipes in your car or a couple of individual packets in your purse for emergencies whenever you don’t have access to water and need to keep your hands and skin clean. Ladies, after you try these individually wrapped, wallet sized wet Down There Wipes for Gals they will be your new best friend. We at MyTopFace aren’t scared to admit that when THAT time of the month rolls we want to feel extra fresh and clean, but sometimes that can be hard with our busy schedules. These wipes are the perfect solution to that problem. The wipes are very soft and gentle and are Ph balanced so they are safe to use in sensitive areas. 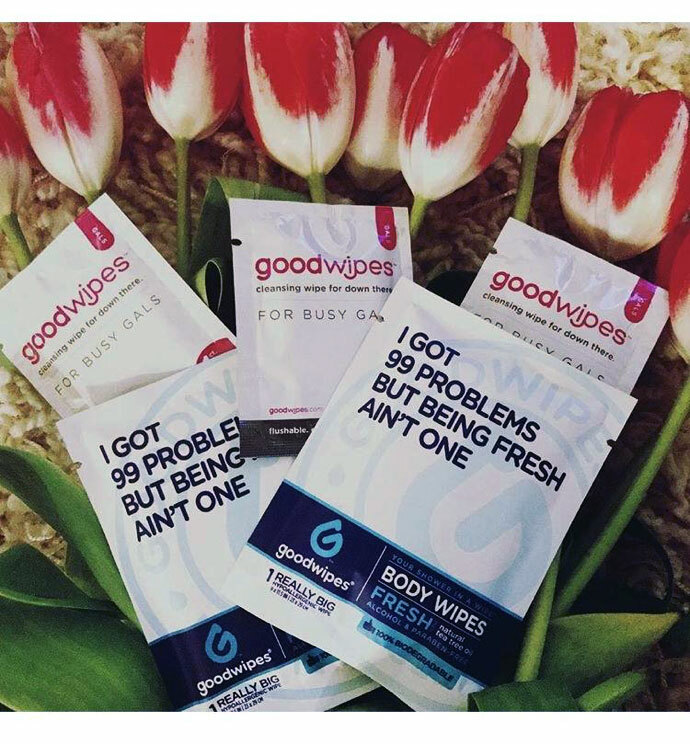 We found that these wipes kept us feeling clean and refreshed, while also masking unwanted orders. We recommend to keep a couple of these in your purse just in case you’re ever in a jam with a disgusting public restroom, that may or may not have any toilet paper. It is also suggested that these wipes can be used before and/or after intimacy. You’ll be happy to know that these wipes are flushable and 100% biodegradable which makes disposing them easy. Use these wipes to feel fresh and clean any time of the day. Overall we really enjoyed trying out all of these products. We not only recommend to use them for a getaway weekend but also see ourselves being able to incorporate them into our everyday lives.